You can have fun with QRP even at the bottom of the solar cycle. The annual Flight of the Bumblebees last Sunday is a good example. The bumblebees are portable stations. I had 34 contacts of which 21 were with fellow bumblebees. All of them were using five watts or less. 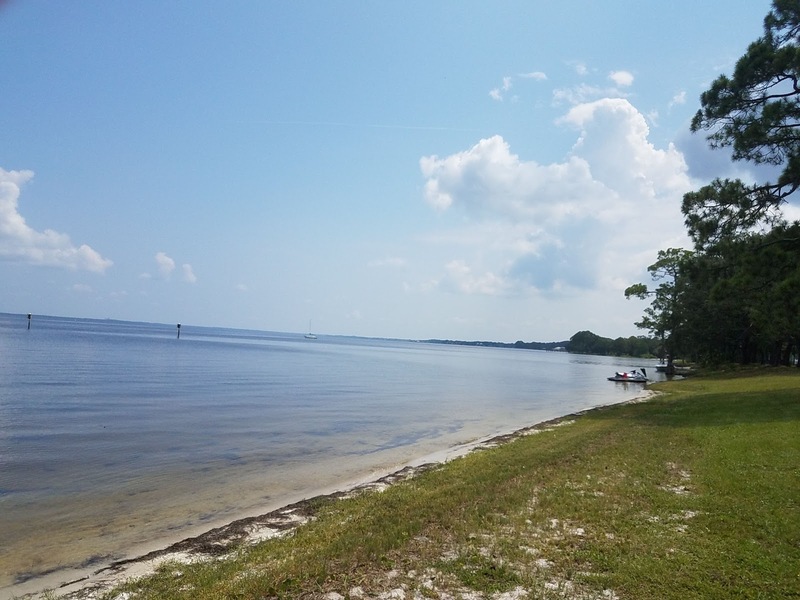 This year I chose Carl Grey Park in Panama City, Florida as my venue which is on the shore of North Bay. 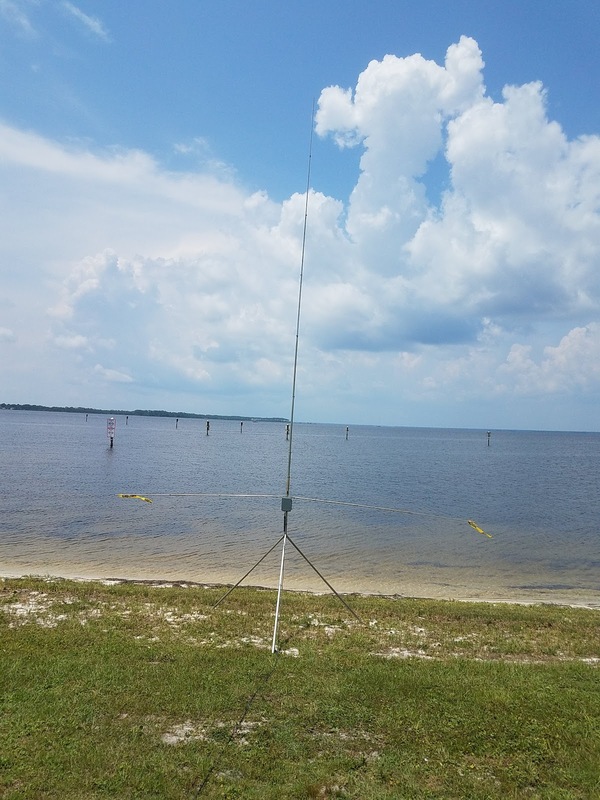 I like to place my vertical antenna on the saltwater shore. My vertical this time was the N6BT Bravo 7K. 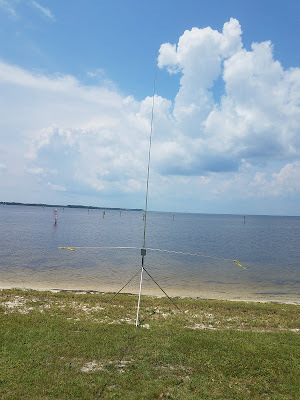 I setup up the vertical for 20 meters which was the most active band. I also set up a low dipole for 40 meters. 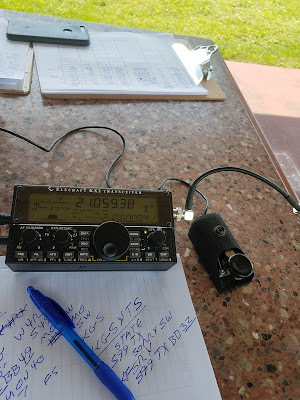 The rig was the Elecraft KX2. It is nice to work your QRP friends on FOBB. Shel KF0UR in Colorado was on, He is with the QRPWorks who makes Elecraft Accessories. I worked Kelly K4UPG. 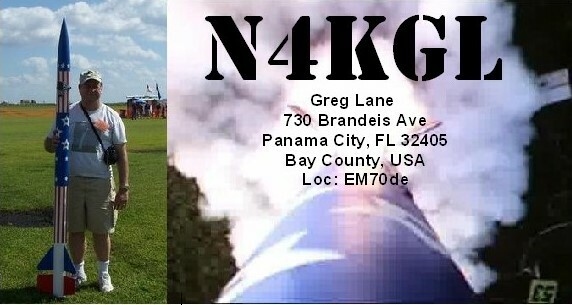 He is a QRP ringleader in the Orlando area. I worked Randy KB4QQJ in North Carolina on 40, 20 and 15. He heads up the Great Outdoor Radio Club, GORC. In the West, I got Steve KF5RY in Texas on 40 and 15 and Myron WV0H in Colorado. These two are on the RaDAR Community. Local friends included Bob WB4BLX on 20 and 40 and Bob WB8PAF on 20. 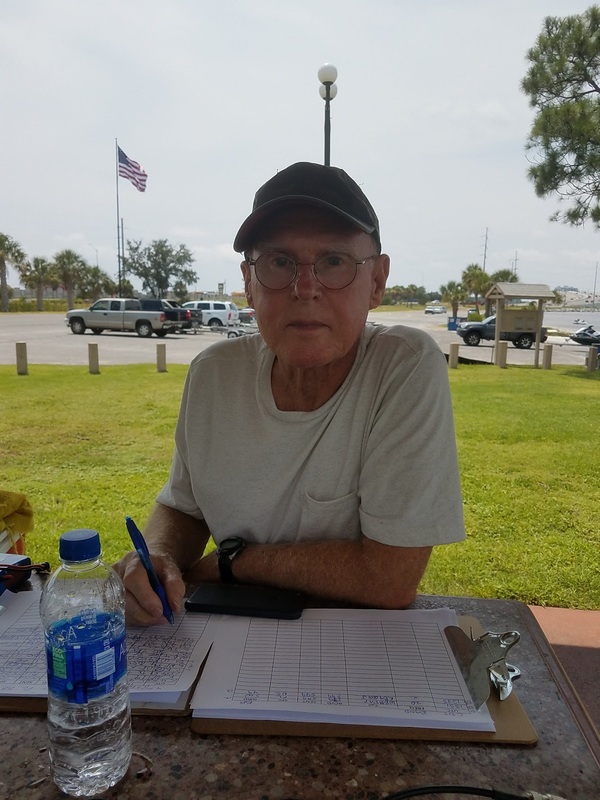 I better not leave out Dennis WA6QKN who assisted me with logging. He is getting pretty good with CW copy. We also had a friendly squirrel come by to share my lunch. Suzy would have liked that, but I did not bring her this time. The weather held out right up to the last hour. We could see some lightening in the North. In the end, a stiff breeze came up and turned over my Bravo 7K vertical. I never dreamed that could happen, but there was no damage.